One of the things that the Le Meridien Hotel at Jaipur is well known for is hosting the Writer’s Ball for the Zee Jaipur Literature Festival each year. 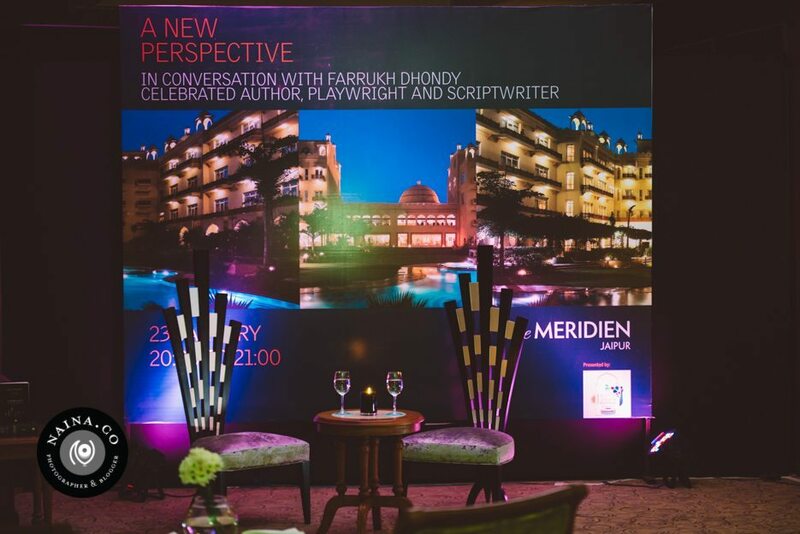 They also host additional author interactions and this time around I was photographing author and script-writer Farrukh Dhondy, in conversation with Starwood’s Anjali Mehra. Not only did Anjali have some excellent questions for the author, Farrukh also read from a book of poems by Rumi. I was unaware of the author prior to this conversation. It was an intimate audience and Farrukh answered audience enquiries as well as signed books for them. There was an enthusiastic bunch of people in the audience that clearly adore Farrukh’s writing. I found him to be a great, if some what strongly opinionated, orator. It made for a fun evening. I would like Farrukh to spend some more time with bloggers. 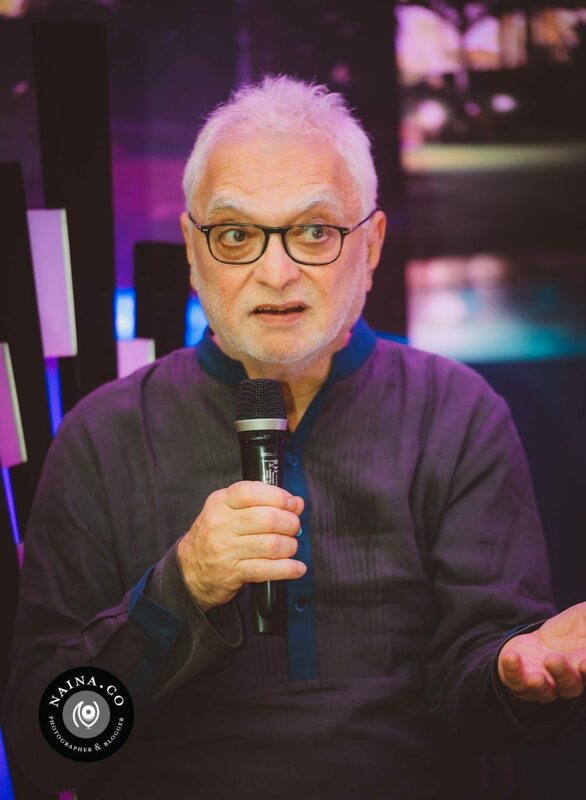 I disagree with his statement that “Blogwalas write rubbish because there is no editing.” I do not claim to be a writer but that’s like me, as a photographer, saying everyone with a camera produces rubbish pictures because there’s no editing. Farrukh photographs well, so I really had no other reason to complain! Oh and Le Meridien Jaipur’s hospitality is always top notch. It was lovely to be visiting! Above, Anjali exchanging notes with Farrukh prior to the interaction. Below, Arnaud Champenois of Starwood, introducing the author and welcoming the audience. Thank you Nina for such wonderful pic and blog. Great piece about Farrukh Dhondy – can’t believe you’ve never heard of him before, he’s very popular here in Britain!